Lamberto Gardelli (8 November 1915 –17 July 1998) was a Swedish conductor of Italian birth,  particularly associated with the Italian opera repertory, especially the works of Giuseppe Verdi. Pesaro is a city and comune in the Italian region of Marche, capital of the Province of Pesaro e Urbino, on the Adriatic Sea. According to the 2011 census, its population was 95,011, making it the second most populous city in the Marche, after Ancona. Pesaro was dubbed "Cycling City" by Italian environmentalist association Legambiente in recognition of its extensive network of bicycle paths and promotion of cycling. It is also known as "City of Music" as it is the birthplace of the composer Gioacchino Rossini. In 2015 the Italian Government applied for Pesaro to be declared a "Creative City" in UNESCO's World Heritage sites. In 2017 Pesaro received the European City of Sport award together with Aosta, Cagliari and Vicenza. He made his conducting debut at the Rome Opera with La traviata in 1944. Professionally, he continued to have a major career in Europe in addition to making recordings of many neglected operas. Gardelli was permanent guest conductor with the Royal Swedish Orchestra from 1946–1955, and conductor at the Stockholm Opera from 1947, working with singers such as Jussi Björling and Birgit Nilsson. He also conducted at the Drottningholm Theatre, and eventually adopted Swedish nationality and became a Court conductor. He was a conductor of the Danish Radio Orchestra from 1955–1961, then music director at the Hungarian State Opera from 1961 until 1966 and continued to appear in Budapest up until the 1990s. He made guest appearances at the Glyndebourne Festival from 1964 (with Macbeth , which was filmed), the Royal Opera House in London (during the period 1969–1982), the Metropolitan Opera in New York (debut 1966) and Deutsche Oper Berlin. He was chief Conductor of the Munich Radio Orchestra from 1982 to 1985 and of the Danish Radio Symphony Orchestra from 1986 until 1988. Märta Birgit Nilsson was a celebrated Swedish dramatic soprano. Although she sang a wide repertory of operatic and vocal works, Nilsson was best known for her performances in the operas of Richard Wagner and Richard Strauss. Her voice was noted for its overwhelming force, bountiful reserves of power, and the gleaming brilliance and clarity in the upper register. Josef Anton Bruckner was an Austrian composer, organist, and music theorist best known for his symphonies, masses, Te Deum and motets. The first are considered emblematic of the final stage of Austro-German Romanticism because of their rich harmonic language, strongly polyphonic character, and considerable length. Bruckner's compositions helped to define contemporary musical radicalism, owing to their dissonances, unprepared modulations, and roving harmonies. He was made an "Officier de l'Ordre des Arts et des Lettres" in 1995, by the Ministère de la Culture (France). Gardelli died in Munich, Germany, at the age of 82. Gardelli was considered a specialist in the works of Verdi and he made several recordings of that composer's operas in the 1960s and 1970s, conducting pioneering recordings of the neglected early operas with record companies such as Philips and Orfeo. 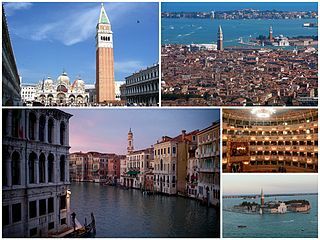 These included Alzira , Attila , Stiffelio , I masnadieri , Ernani , Oberto , Un giorno di regno , Il corsaro , as well as more well-known works such as Nabucco , Macbeth , La traviata , La forza del destino . 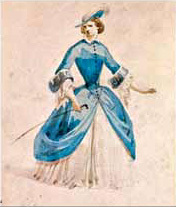 While not limiting himself to Verdi, he recorded the first complete French version of Rossini's Guillaume Tell and Giordano's Fedora with the rarely recorded Magda Olivero. He made studio recordings of four Respighi operas with Hungaroton. He was also mentor to several noted sopranos, including Lucia Aliberti and Sylvia Sass. His non-operatic recordings include orchestral works by G. Bizet, H.D. Koppel, F. Mendelssohn, I. Pizzetti and O. Respighi. 1 2 3 Lamberto Gardelli. The New Grove Dictionary of Opera. Macmillan, London and New York, 1997. 1 2 Lamberto Gardelli (biographical note). In: booklet accompanying I Due Foscari, Philips LPs 6700 105, 1977, p4. 1 2 Blyth, Alan. Obituary for Lamberto Gardelli. Opera , Vol 49 No 10, October 1998, p1165. ↑ Lamberto Gardelli opera recordings at the Opera Discography retrieved 12 June 2013. ↑ Svensk Filmdatabas: Eldfågeln (1952) retrieved 15 June 2013. Gabriel Bacquier is a French operatic baritone. One of the leading baritones of the 20th century and particularly associated with the French and Italian repertories, he is considered a fine singing-actor equally at home in dramatic or comic roles. Nicola Ghiuselev was a Bulgarian operatic bass, particularly associated with the Italian and Russian repertories. Ghiuselev was born in Pavlikeni. He studied painting at the Academy of Arts in Sofia, and later voice at the school of the National Opera of Sofia, with Christo Brambarov. He made his stage debut with that company, as Timur in Turandot, in 1960. In 1965, with the Sofia Opera, he toured Germany, the Netherlands and France, and made his debut at the Metropolitan Opera of New York, as Ramfis in Aida, quickly followed by King Philip II in Don Carlo, and the title role in Boris Godunov. In two seasons with the Met, he sang as Raimondo in Lucia di Lammermoor, the Commendatore in Don Giovanni, Colline in La bohème.